We offer Several Shoreline Step Designs to fit your needs & your Budget! 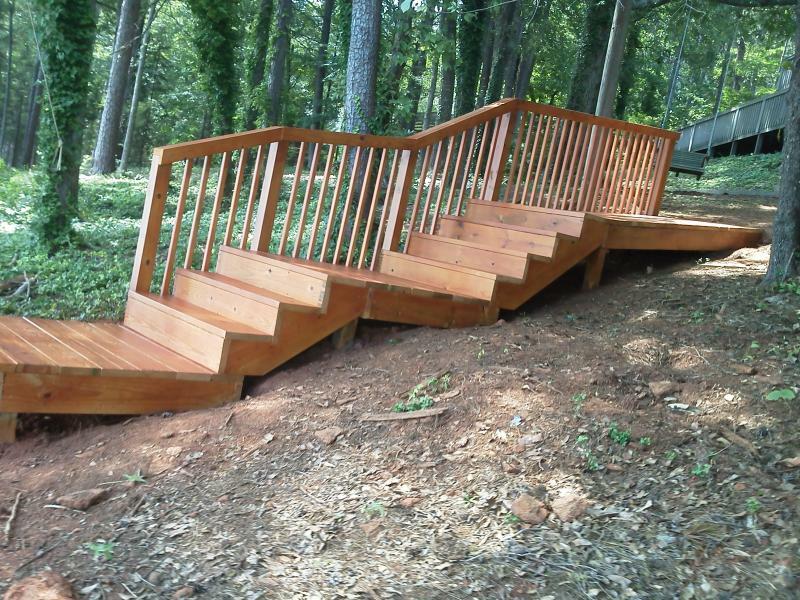 Enclosed Wood Steps with Handrail. Tilting Metal Handrail optional with all Shoreline Steps we offer. All Enclosed Wood Steps constructed with #1 pressure treated material with Ramps built in (A J&S original feature). Granite (Exclusively at J&S) or Stone Steps with Ramps/Wheel Tracks. Steps for a Lifetime & Maintenance Free! The only contractor on the Lake to offer Wheel Ramps for Stone / Rock Steps! Gangway Wheel Systems, Land/Dock Winches installed (up to 3500lb weight capacity), & Cable Anchor Post Installed. Contact Us Anytime we are Always available to take your Call!